Saturdays in the fall is football day at our house. 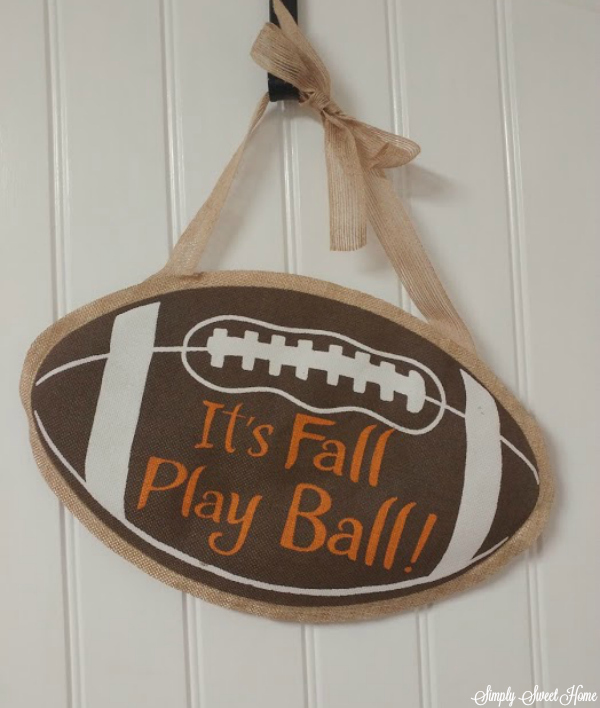 Each week you’ll find us wearing our favorite sports apparel, chowing down on some yummy football food, and of course, watching football and showing our team spirit. As the season grows near, I’m getting my shopping list ready so I can buy all the food and supplies we’ll need for a little homegating. A few items we could not live without include Dr Pepper®, Kingsford® Original Charcoal, and Hidden Valley® Original Ranch® Dressing! Today I’m here to show you how we do football, and I’ve also got a tutorial for DIY Photo Booth that can help make your football party fun and unique! 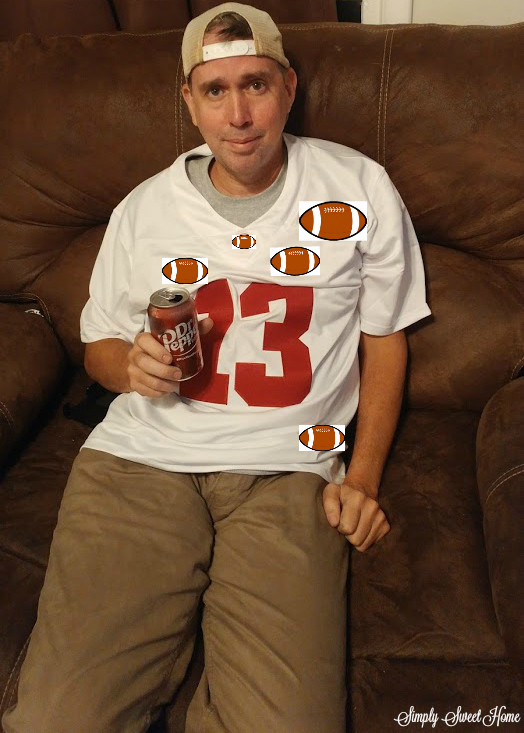 I’ve always been a huge fan of Dr Pepper and am happy that it is the official drink of college football fans and has been part of college football for over 25 years. And apart from drinking the Dr Pepper, you can also use it as a marinade for your favorite meat or serve it up in some delicious Dr Pepper Floats. 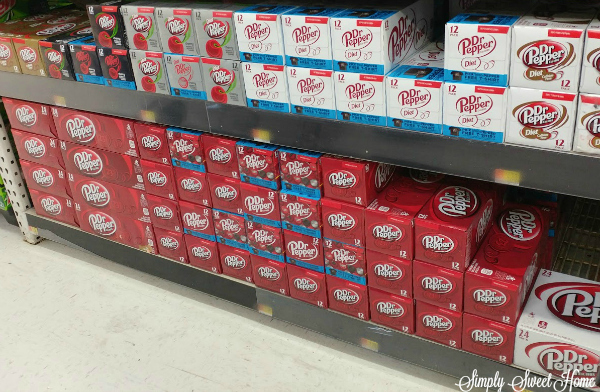 You can purchase Dr Pepper in the can drink aisle at your local Walmart. Be on the look out for special college football packaging! The grill is a staple in our home. We use it at least once a week, and it’s great for making some of our favorite football foods like pulled pork, grilled chicken, hamburgers, and hot wings. My husband is our resident grill master! I can always count on him to grill up some delicious meats for game day. He loves the Kingsford brand and says it is the only thing he will use on a charcoal grill. The product is made in the USA with 100% natural North American ingredients. 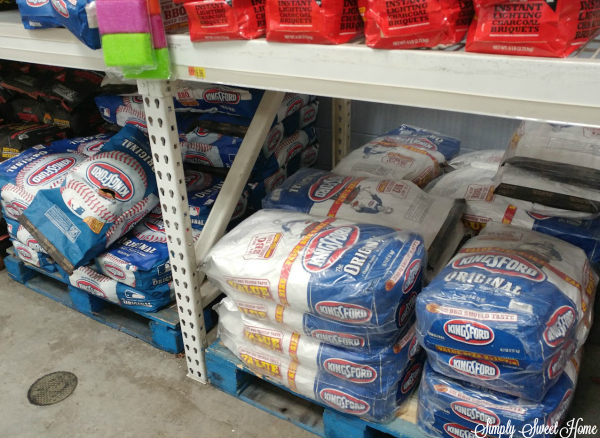 We purchase our Kingsford Original Charcoal at Walmart. Look for it in the lawn and garden department, along with other Kingsford varieties like Kingsford Charcoal with Applewood as well as varieties with Hickory, Pecan, Cherrywood, and Mesquite. Check your local store to see if grocery pick up is available for your convenience. 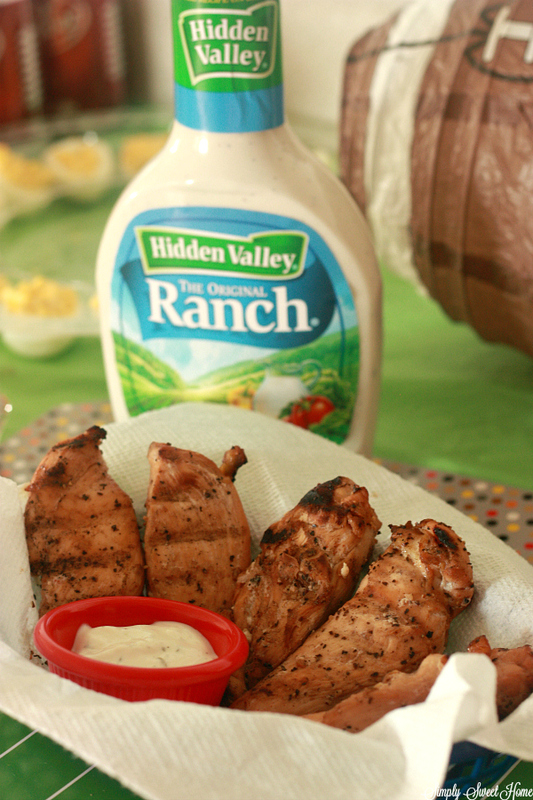 Hidden Valley Ranch is the perfect addition to salads, veggies, meats, crackers, and even pizza! Of course, it’s not a party or even a regular day at my house unless I am taking pictures! I’m the Queen of Picture Taking and I’m always walking around taking pictures of people, animals, or just random every day things! 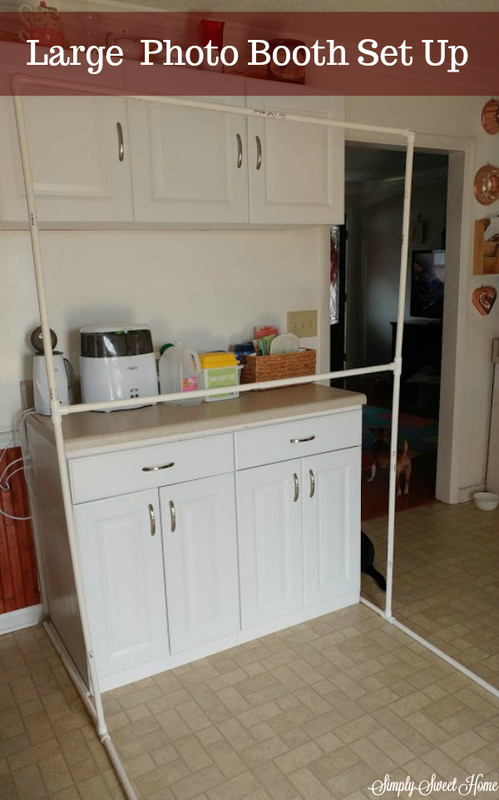 To make more professional photos of our son, I have a very simple DIY photo booth, and this set up works great at parties for a little decoration and for a spot where your guests can take their own fun photos! I like to place ours in our kitchen because it has the best natural light. Backdrop and photo props – You can purchase cheap or expensive backdrops, but I usually use every day items like blankets, tablecloths, curtains, and shower curtains. 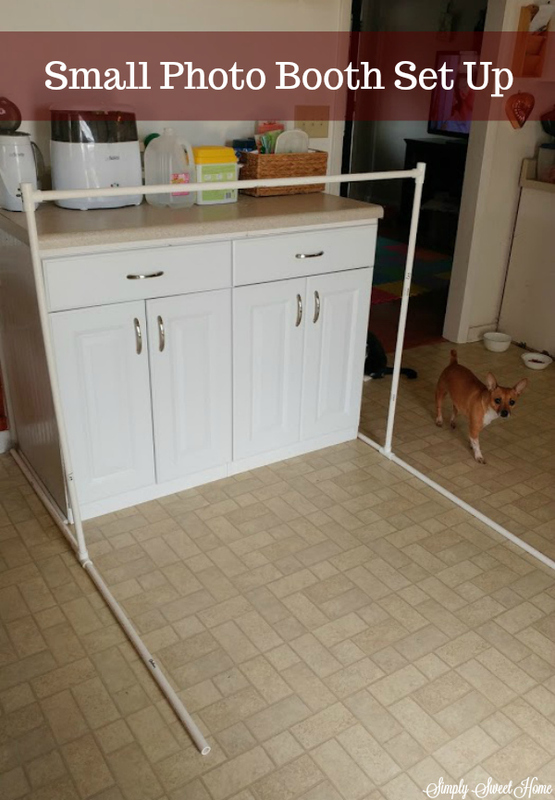 Note: The measurements in this tutorial will give you a backdrop that is 4 foot across. The small booth set up is 40 inches high, and the large booth is 70 inches high. If you need for your booth to accommodate taller people, you will obviously need to adjust the lengths you cut on the pipe. To assemble, take 2 of the 30 inch pieces and place them in either side of a T-joint. Repeat with 2 other 30 inch pieces. These will be the bottom of the base. Next take a 40 inch piece and place it in the other side of the T joint. Repeat with other 40 inch piece. This gives you the bottom and the lower half of the sides. Next add another T joint to the top of each 40 inch piece. 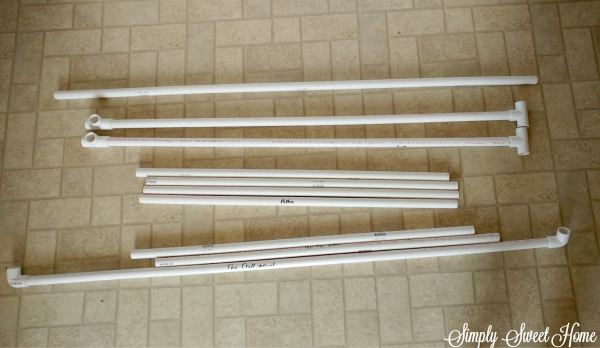 Take one of your 4 foot pieces and use it to connect your two sides. This will give you the small assembly seen above. sides. This will complete the large assembly. Now you are ready to hang up a backdrop, get out your props, and have some fun. With a photo booth like this your friends and family can take professional looking photos in front of a fun scene. It will help them commemorate the day, and it is a lot of fun for one and all! Are you ready for football? 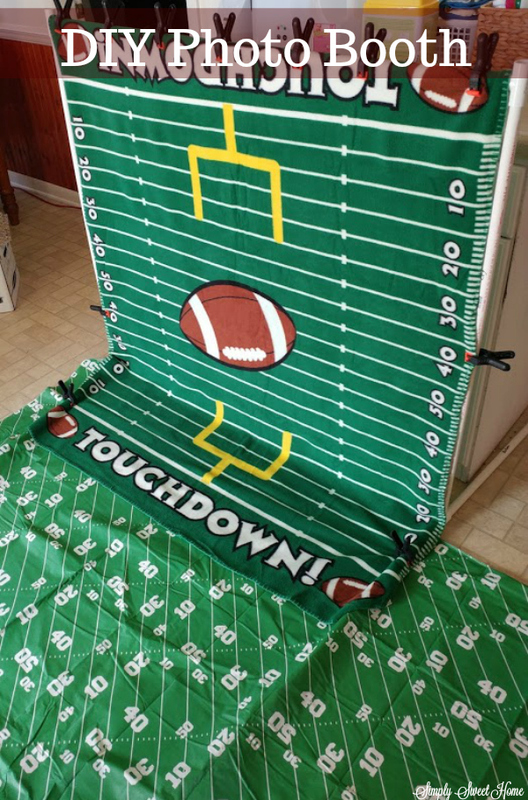 Get fired up with more football fan ideas. I’d also love to hear your tailgating tips, traditions, and ideas. Please join us in the comments or on social media. Summer time is party time! My husband and I love to have cookouts during the summer, and we are sort of famous for our last minute impromptu get-togethers, featuring my husband’s grilled masterpieces, and my amazing sides and desserts. Today I’m excited to offer you an easy but unique recipe for your next cookout, plus tips to make your summer cookout a success from prep to clean up. When it comes to parties, most people focus on the food first and then the decorations, but you must not forget other essentials like plates, cups, eating utensils, and of course, something to help guests to clean their hands. VIVA® Vantage® Big Roll Paper Towels come in a convenient 6 pack that is perfect for your party. I love putting out a roll of paper towels, because it is easy, convenient, and cost effective. Also, in the event of a spill, you just grab a roll and get to cleaning! Paper towels can also be a big help for cleaning as you go before your party begins. Just wipe down tables and counter tops as you work, so the messes don’t add up! Then after the party is over, I like to grab my favorite spray cleaner and a roll of paper towels for quick clean up! New Kleenex® Wet Wipes Gentle Clean are also a convenient product to have on hand. These are safe to use on hands and your face. Summer parties are often outdoors, which means no sink is immediately available, and so it’s great to offer guests some wipes for personal clean up (especially if you are serving a messy food like ribs, wings, or ice cream). I recommend placing a package of Kleenex® Wet Wipes at the center of each of the tables where people will be eating, as well as an additional package next to your messiest foods, which may require the use of the wipes (ie – right next to your tray of hot wings). You can find both of these products in the bath tissue, facial tissue and paper towel aisle at your local Kroger. I used my Kroger Plus card and was able to save $5 on the VIVA® Vantage® Big Roll Paper Towels 6 pack! The Kleenex® wipes found on the facial tissue aisle. I actually found them on the same aisle as the paper towels. I found them at the opposite end of the aisle, in between bath tissue and facial tissue. I have been to so many parties and get-togethers where everyone appears lost! Where are the plates? I can’t find the cups! I forgot to get a paper towel. Where are the forks? The confusion can be solved rather easily, by placing all of these essential items at the end of your buffet, all together in one place. Even the smallest party can be made more fun with a few decorations. My stepson recently graduated high school and will be leaving in August to join the army, so for his upcoming party, I would use some simple red, white, and blue decorations. I LOVE patriotic decorations to begin with, so this is an especially fun theme for me. Plus, with Memorial Day and the 4th of July being summer time holidays it is very easy to find paper plates, balloons, tablecloths, and other fun decorations and party favors to go with this theme. To shorten prep time and make less mess on the day of your party, choose a few make ahead menu items. Casseroles that can be mixed up the night before and simply warmed in the oven the next day are great. No bake desserts are also great for this, as well most other desserts from homemade cookies to pies and cupcakes. Think outside the box when planning your menu; just a few unique menu items can take your menu from bland and basic to original and full of flavor. Right now we are brainstorming party ideas for Noah. My husband and I LOVE to do cookouts, and we also love doing appetizer parties, so my idea is to do a combination of the two. I’d like to serve hamburgers and hot dogs (because it is easy and everyone loves it), but I also want to throw in some of our favorite appetizers like hot wings, sausage balls, and buffalo chicken dip. You could also add a few appetizers to your menu if your are having a fish fry. Or offer up veggie kebobs alongside your grilled steaks or barbecue chicken. Fresh fruits and salads are also great additions to your backyard barbecue, and of course, you never want to forget the dessert! If you’re serving appetizers at your next cookout, I have a simple, yet unique recipe. Where I live hot wings are not typically served at a barbecue. They are usually reserved for tailgating parties and holiday parties, so just having them at a summer party is an interesting menu twist for us. And if that’s not enough, these wings are GRILLED! Usually when people think of wings, they think of wings fried in a fryer. Grilling your wings will add extra flavor that frying just won’t do, and because you aren’t using any oil, and the fat from the wings drips down into your grill, your wings will actually be a lot more healthy! Place wings on grill and cook on 250 degrees of heat for 2 1/2 to 3 hours or until internal temperature is 160 degrees. Just before wings finish cooking, make sauce: Pour hot sauce, steak seasoning sauce, and garlic powder in to a sauce pan. Add stick of butter. Simmer on low to medium heat until butter is melted, stirring occasionally. Once wings are off the grill, place wings in a dish and pour sauce over wings. Serve with ranch or bleu cheese dressing. To prevent burning and sticking, take a piece of aluminum foil and spray with cooking spray, place marinated wings on foil, and fold/scrunch foil to create a foil pack. Then place foil pack on grill. Enter the #MakeYourSummer Sweepstakes for a chance to win a Kroger gift card or a NASCAR experience! No Purchase Necessary. The #MakeYourSummer #Sweepstakes begins on June 11, 2018 at 12:00:00 AM ET and ends on July 23, 2018 at 11:59:59 PM ET. There are multiple Entry Periods during the Sweepstakes. Legal residents of the 50 US/DC only, 18+. Void where prohibited. By participating, you agree to the Official Rules at https://makeyoursummerrules.pgtb.me/MRsDsl. All shared entries should include: #MakeYourSummer #Sweepstakes. Ends 7/23/18. See rules at https://makeyoursummerrules.pgtb.me/MRsDsl. Do you love cookouts and summer parties? Visit the Make Your Summer Social Hub for more unique grilling inspiration. And as always, I invite you to join the conversation by commenting on today’s post! Just like any other aspect of a wedding, wedding cakes tend to have trendy designs that come and go. The wedding cake is the center piece of your entire reception, so it is important for it to have some stylish flair. Check out these five wedding cake ideas that are trending for 2018. In the past few seasons, there has been a significant increase in watercolor designs. The gentle hues and brushstrokes of edible paint on a smooth coat of fondant can make a wedding cake truly stand out. A nice thing about this design trend is that it can easily be adapted to any size and shape of cake. Because of this, as you can imagine, the price is suitable for any budget. Check out CakesPrices for more info about round, inch or square types of cakes. The biggest trend for the painted cakes are ones with sketchy vines of flowers and leaves twisting around the cake. Hand painted floral patterns are trendy because they match the wedding trend of hand embroidered floral patterns on dresses. This artistic and romantic look is perfect for a garden wedding. Ombre cakes with soft brushstrokes and feather shapes are another way to try out this trend. The rustic wedding style is still going strong, so plenty of brides and grooms are going for “naked” cakes. You still get plenty of yummy frosting in between each layer of the cake, but the top and sides are bare. These cakes look best in tall, towering tiers. They are ideal for couples who want lower cakes prices since they are less time consuming to make. Though naked cakes have been around for a while, the new trend is to select this design for wedding cakes in unusual flavors. The bare sides make sure that the colorful and unique cake is the star of the show. Popular flavors include blueberry, blood orange, red velvet, confetti, or other flavors that have fun hues. You can add further decoration with garlands, fresh flowers, or fresh fruit around the cake. Also called brushstroke cakes and Kalabasa cakes, this style has been taking Instagram by storm lately. It consists of a cake decorated with thick sprays of feathery looking chocolate. They seem to have originated with a small Russian bakery, but it is now one of the biggest cake trends of the season. A brushstroke cake is a great option because it allows your cake’s decorations to be made from chocolate instead of fondant. The feathery designs can easily be made in any color or size, so you can find natural looking cakes covered in tiny feathers or cakes with thick strokes of feathers that look like abstract art. lately. You can find geometric designs made from edible paint, piped icing, fondant, or even airbrushed stencils. Hexagons, triangles, and diamond shapes are particularly popular geometric shapes, but you can also find ones with more abstract trapezoids, chevrons, and lines. The metallic trend first got its start around the edges of those geode cakes that were popular last year, but this year it is even bigger. Many cake designers are now creating cakes that look almost entirely metallic. Gold is the most popular shade right now, but copper, silver, and even brass is starting to gain traction as well. This trend is great for brides who want plenty of glamour and sparkle at their wedding. You can use metallic accents on a relatively traditional cake, or you can pair them with a more experimental design. One of the favorite ways to try out the metallic trend is to gently dust the cake with a scattering of edible silver or gold leaf for an iridescent look. Any one of these trendy wedding cake ideas is sure to impress the guests at your weddings. These designs are all extremely versatile, so they work well for many styles and sizes of weddings. Is someone in your family having a birthday this season? Autumn birthdays can sometimes be tricky, tucked into all the craziness of the back-to-school time and the holidays coming up so soon. Here are a few fall-inspired themes that you can use for your child’s next birthday party. Does the autumn make you feel nostalgic? Although to some of us the 1980s don’t seem all that long ago, to kids this time period might as well be science fiction. With its bright colours and fun pop music, it’s super child-friendly. You can get 80s fancy dress from Funidelia to look the part, or go DIY with slogan T-shirts and mesh gloves of your own. It’s a good idea for costume parties like this to offer a few extra accessories in case anyone misses out on the dress code. To complete the theme, play the top 40 hits from the decade and encourage guests to dance along. The décor should be as wild and neon as the decade. There’s perhaps no better time to have a wander in the woods than during the fall, when the leaves are changing colours and the air turns crisp. You can bring this same spirit into a woodland party theme. If you make it a costume party, encourage guests to dress like forest animals from bunnies to squirrels or foxes. For the decorations, you can transform your own backyard into a woodland setting with hidden gnomes, brown burlap decorations and fairy lights. Is your child old enough to try their hand at baking? This can be a great theme for the budding chef. Get a group of friends together to make seasonal treats like pumpkin spice cookies or apple cupcakes. Just be sure to choose something that they can make and decorate to fill plenty of time. Naturally, the children can then take home their creations at the end of the party. With Halloween ahead of us, a magic-themed party is a natural fit for September or October birthdays. You can get a jumpstart on your seasonal decoration with whimsical wizard costumes, colour-changing drinks, and black cat cupcakes. Play pin the broomstick on the witch, or use Harry Potter decorations to make your theme even more specific. No matter what your child’s interests are, you can combine them with the natural magic of the fall season to create a memorable birthday party this year. Football season is in full swing, and that includes high school football! Even though it’s been “a few” years since I was in high school, I still enjoy rooting for the home team, and my husband played football in high school so he is always happy to watch anyone play. 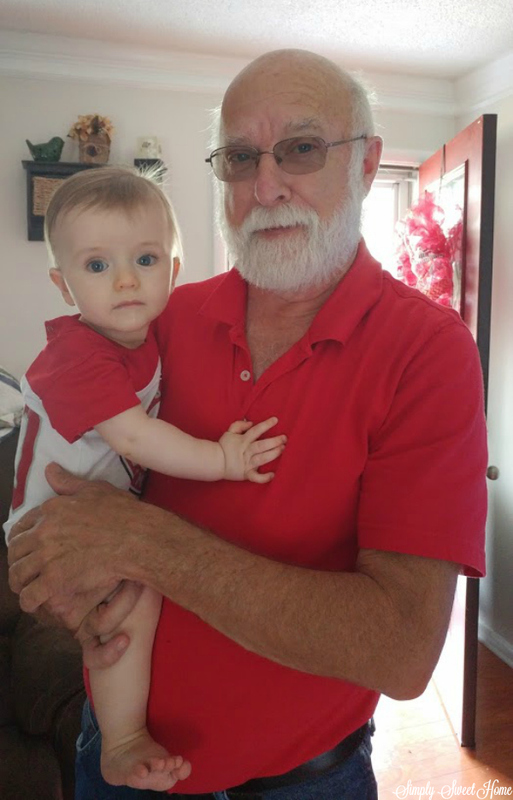 Our son has also been in marching band, so we’ve enjoyed going to the football games to see him play, and while we’re there it’s a great chance to check out the game and enjoy ourselves. One thing that’s changed since I was in school is the pre-game festivities. Much like they do at colleges, people now tailgate, spirit parades, and other fun activities. If you read this blog regularly, you know that I love homegating and serving food for football games. For a high school game, I think it’s just as fun to serve up a few appetizers for family and friends to enjoy before attending the big game. The other day we had a nice spread of food. I made a few appetizers, and our main dish was Tony’s pizza. I purchased Tony’s® Pizzeria Style MEAT-TRIO® Pizza and Tony’s® Pizzeria Style Cheese Pizza. Their pizzas feature 100% real mozzarella cheese and sauce made from real tomatoes, and their pizzas bake up in about 20 minutes, making them ideal for you tailgate or homegate parties! I like baking these pizzas as a main dish, and it’s also fun to slice the pizza into many smaller pizzas in order to serve “finger food” size portions. Tony’s pizza is also very affordable, and because it’s so quick to make you can always stick extra pizzas in the oven if you have last minute or unexpected guests arrive. Ibotta Offer! You can also get $1 cash back off your pizza purchase with Ibotta. Sweepstakes! Right now you can also enter to win great prizes and up to $3000 for your local high school from Tony’s pizza. Check it out! I also made a few appetizers to go with our pizza. It was basically an entire table full of man food! One of the appetizers I made to go with the pizza was a platter of Sausage & Cheese Pinwheels. This is a very easy appetizer that you can make in under 20 minutes. The bite-sized portions make it very easy to serve and eat at a tailgate. And the hearty ingredients are real crowd pleasers. Fry sausage until browned and cook through. Drain off fat. Set aside. Take cheese and slice it into cubes. Place in a microwave safe bowl. Add tomatoes with chiles. Place in microwave and cook for 30 seconds. Remove and stir. Repeat until cheese is melted. Stir in sausage. Spread sausage and cheese mixture in a thin layer on the tortillas. Roll tortillas on to themselves. Chill in the refrigerator till cheese mixture is set. Remove tortilla roll-ups from the refrigerator. Cut tortillas in to slices, about 1/2 an inch wide. Cheese should be set up enough so that it doesn't ooze out when you cut the tortillas. Place pinwheels on tray and serve immediately or place in the refrigerator until time to serve. For a lighter option, try substituting other ingredients like turkey sausage and whole wheat tortillas. Do enjoy Friday night football? Do you have a son who plays for the home team or a daughter who cheers on the sideline? If so, I’d love to hear how you celebrate and show your home town pride! Leave a comment on this post or join the discussion on social media. 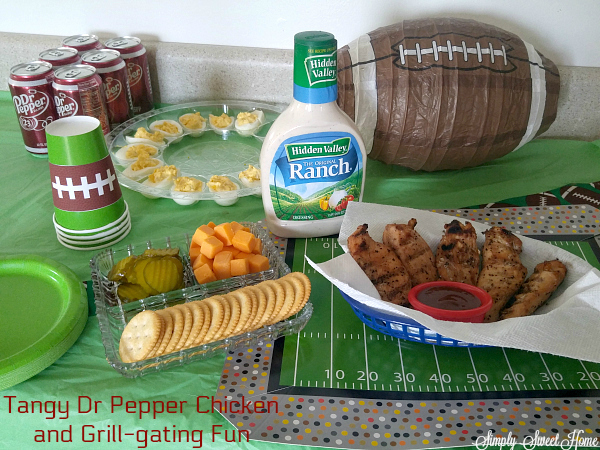 Also, be sure to check out these fun tailgating ideas! Disclosure: I am an ambassador for Oriental Trading and received free products to facilitate this post. Christmas is almost here! Many companies, schools, and even families have already celebrated their yearly Christmas party, but there’s still a lot of partying left to go! Oriental Trading always has a wide of variety of seasonal items to help you create the ultimate party! I recently received an entire box of Christmas items that could turn any ordinary holiday dinner into something merry and bright! Today I’m going to highlight those items and tell you why I recommend them for your holiday bash! I found the cutest plates and napkins (pictured above). There’s just something about this mix of colors and patterns that make me smile. They are bright and bold with a touch of the whimsical, and I think they look great for adult or children’s parties. Also managed to find this polka dot table cloth, featuring pictures of Santa, an elf, rudolph, and a snowman. I think it goes quite nicely with the plates and napkins. I love this time of year. Where I live, the temperatures were in the upper 80s and low 90s throughout September, so it didn’t feel like fall weather, but football season is definitely in the air, and that is a great thing! Dr Pepper® is a sponsor of college football and the college football championship, and they are teaming up to offer shoppers great deals at Publix for all their football watch party and tailgating party needs. Since our Saturdays are filled with football, family, and food, I have to keep a lot of drinks and snacks on hand, and I’m always happy to find deals on the snacks we love. Today I’ll be sharing a few of my ideas for how you can take advantage of these great deals at Publix and make Dr Pepper and Nestle HOT POCKETS® brand sandwiches a part of your football celebration. Prepare to take your college football experience to the next level! Dr Pepper®, DIGIORNO®, HOT POCKETS®, EDY’S® and STOUFFER’S® are giving you the chance to win tickets to the 2017 College Football Playoff National Championship game in Tampa, Florida! Three lucky winners will receive two tickets to the game, airfare and hotel accommodations! In addition, Publix gift cards will be awarded to several other lucky winners. Don’t miss out! Visit CollegeFootballChampSweeps.com for your chance to win. Enter between 10/1/16-10/21/16. Dr Pepper can be found in the drink aisle at Publix. Be sure to be on the look out for the special limited edition 2016 College Football Packages. Publix also has great deals on HOT POCKETS® and other frozen snacks from Nestle. Look for these in the freezer section. 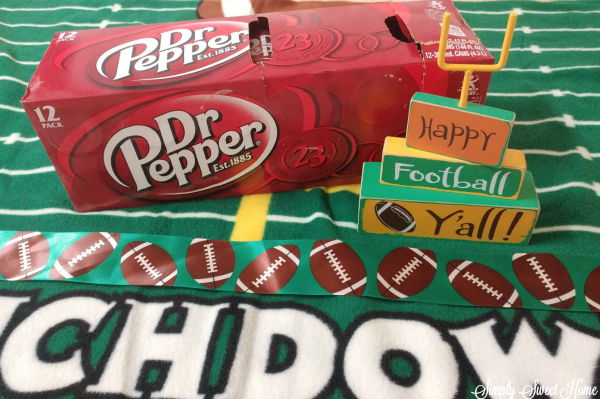 You will be the star of your own football party when you create your very own Dr Pepper Floats Bar. This is such a fun and delicious idea! You’ll of course need some and a couple of flavors of ice cream for the main ingredients of the floats. Here I used French vanilla and butter pecan, but I have to tell you that chocolate ice cream is great for Dr Pepper floats as well! And of course, you will need glassware. I like to put out a couple of different sizes and types of glasses out, simply because in our family one person may want a large float, while someone else may want just a small serving. You should also have some toppings and add-ins like chocolate syrup, whipped cream, cherries, and candy toppings. And if you’d like to give your guests the option of blending their float, you should have a blender or hand blender on hand. As you can see, it is a very simple, yet nice and presentable set up. Apart from floats, I absolutely love blended floats and shakes. Today I’ve got a very simple recipe for Dr Pepper Shakes. Directions: Blend together ice cream, milk, and chocolate syrup. Mixture should be pretty thick; if it seems thin, add additional ice cream and reblend. Next blend in your Dr Pepper. Pour shake up into a glass and add a splash of Dr Pepper to create foam at the top. Whipped cream and a drizzle of chocolate syrup. Whipped cream with chopped candies or sprinkles. You can also leave the chocolate syrup out and go with plain vanilla, or use other syrups like caramel, butterscotch, and strawberry. To change this recipe from a shake to a blended float, leave out the milk and add extra Dr Pepper. Just as the Dr Pepper can be used as part of a float bar, the HOT POCKETS® brand sandwiches can used in a bar of their own. This works out great for us, because we like to put out a number of finger foods and snacks so that everyone can come, eat, and go, as they please, and making your own HOT POCKET® is as easy as you can get! Simply lay out a few of your favorite HOT POCKETS® flavor options. I love Ham & Cheddar, but the rest of my family love the Cheddar Cheeseburger and the Pepperoni Pizza varieties. Then add a few dipping sauces to add on the side. A few suggestions I have are ranch dressing, ketchup, mustard, honey mustard, and barbecue sauce. You’ll also need some ramekins for your sauce, food plates, and forks. In about 2 minutes anyone can fix up their own snack. (That means it can even be done during the commercials!) And the best part is that you don’t have to spend a lot of time in your kitchen cooking while everyone else is enjoying the games. 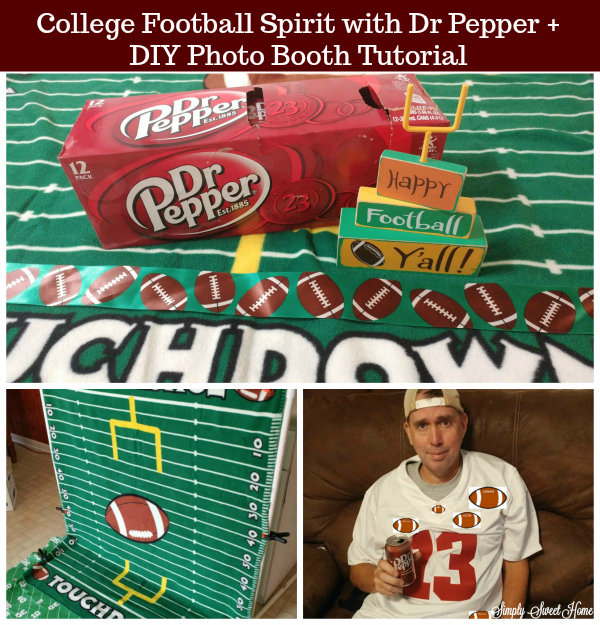 For more fun ideas for the college football season from Dr Pepper and Nestle, check out visit this site.